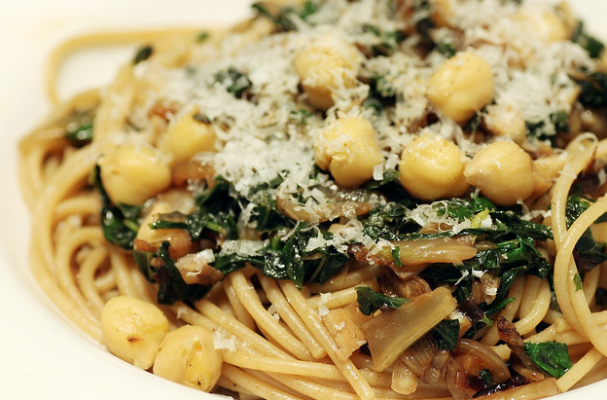 Pasta with greens and mushrooms is a perfect way to use winter vegetables. You can use any number of mixed greens for this dish including kale, mustard greens, Swiss chard and more. The mushrooms add earthiness while the green peas are the perfect burst of sweetness. Shavings of salty parmigiano reggiano are all you need to complete this pasta dish.